I'd like to welcome Alex to the team, who joins us as a much needed graphic designer. His skills are superb and you will notice some of his work in this blog, around the site & in future updates. NEW: - You can now use Two Factor Auth to secure your PF account even further. Full details are available via the link. UPDATED: - We are continuing to accept donations of any amount as we mentioned last month. We've also got a little tracker on that page to show how our funding is looking so far. I will also be starting to post updates on exactly what we're spending this donation money on. NEW: I actually managed to fix embedding videos on the forums whilst writing this dev blog. hah! NEW: Managing & connecting to dedicated game servers is now buttery smooth. 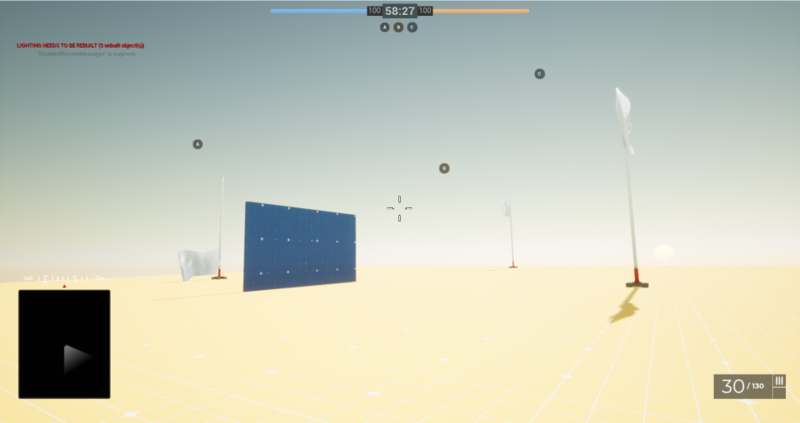 Due to the long time this has taken to get out, I'm also going to throw in a little picture of the developer testing map that we use to try out new UI features and in game experiences. We will be including this with lots of content for players to explore in Alpha testing. The next dev blog will be in two weeks time so set your stopwatches, mark it on your calendar or do whatever you young whippersnappers do these days to remember things.